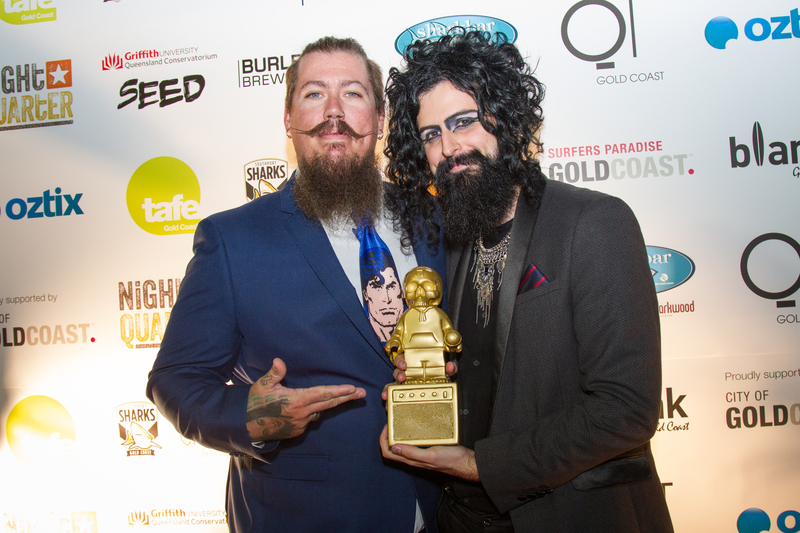 Now in its third year, the Gold Coast Music Awards for 2017 was undeniably its biggest! Taking place in Gold Coast’s iconic Surfers Paradise beachfront, accompanied by a festival-sized live stage (having Yes Sir Noceur, Aquila Young, the Hanlon Brothers and Amy Shark performing), the awards ceremony was a sold out event and recognised some of the city’s best talent from the past year. 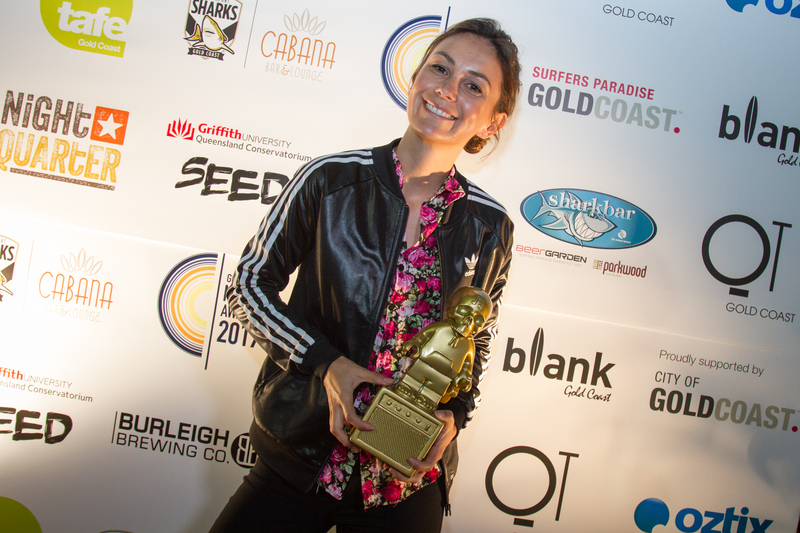 Shocking nearly no one in attendance, Gold Coast heartthrob Amy Shark swept the night by taking home the two biggest, and most prestigious trophies of the night, Song of the Year and Artist of the Year. Amy’s incredible, global success behind her breakout single Adore, and now following it up in pure style with Weekends, meant she was primed and so highly deserved to take home both accolades. Addressing the local crowd as, “earthlings,” Telsa Cøils, the raucous, stylistic and outright daring electro-punk duo earned themselves Breakout Artist of the Year. Garnering attention from all points of the country, thanks to BIGSOUND and the Hard Rock Rising competition, the group were both humbled and admirable for their trophy. The category for Venue of the Year went to one of Gold Coast’s most acknowledged nightclubs and music venues, elsewhere. Audun Fiskerud, one of the venue’s director, used his acceptance speech to bring attention to just a small list of acts who’ve walked the club’s floors and played on its stage. Listing off Tame Impala, Chastity Belt, British India, Dune Rats and so much more, Audun showcased elsewhere’s rightful diversity and calibre for bringing both local and international talent through its doors. With the awards ceremony only on the up-and-up and having talent as strong as its winners and nominees, it’s upright thrilling to see Gold Coast music gets its time in the limelight. Having a moment to reflect on the evening, event organiser Samantha Morris is as humble and forever gracious of the event’s success. “If you’d told me three years ago that the Gold Coast music industry would have its very own sold-out event, on the beach in the middle of Surfers Paradise with thousands of people turning out to see local bands, I just wouldn’t have believed you,” said Samantha Morris.